OXFORD, Ohio -- Miami University senior Allie Batcho chose to take a service trip to the Dominican Republic during spring break to help orphaned and impoverished children instead of traveling to a traditional spring break destination in Florida. Batcho says opting for an "alternative" spring break trip was not only her choice, but also a stepping stone to a path she now sees as her life calling. The 21-year-old health promotion major with minors in child studies and special education is also the director of programs for the student-led organization Justification of Youth (JOY). JOY partners with Kids Alive International , a Christ-centered mission that rescues orphans and vulnerable children in 15 countries around the world, to travel to the Dominican Republic and work with children at Kids Alive’s schools and orphanages. After participating in three service trips to the Dominican Republic through her role with JOY, Batcho now plans to dedicate herself to JOY full time after she graduates in May. Over spring break last month, 15 Miami students flew to the capital city of Santo Domingo in the Dominican Republic on behalf of JOY, to interact and engage with 150 children who were at a Kids Alive camp in the small, neighboring town of Baní for the week. 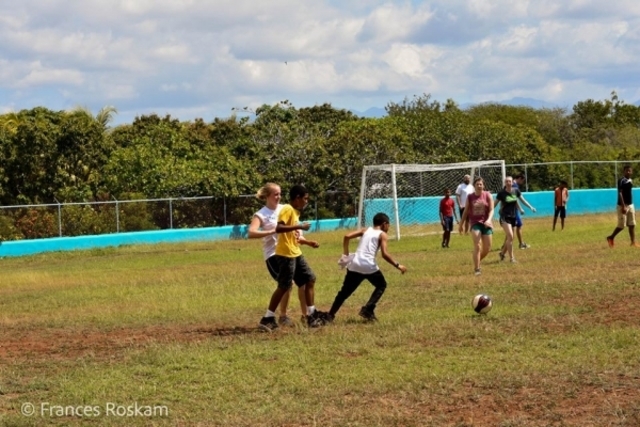 The Miami students also helped build the foundation of a new Kids Alive school in Santo Domingo. JOY was founded in October 2014 at Miami, but has since grown to include chapters at the University of Notre Dame and Taylor University in Indiana. The organization has plans to add chapters at Wheaton College in Illinois and Louisiana State University as well, Batcho said. “We are hoping to expand to more campuses, as well as to more countries, because at the rate we’re expanding, we don’t have enough trips to keep up with demand,” she said. 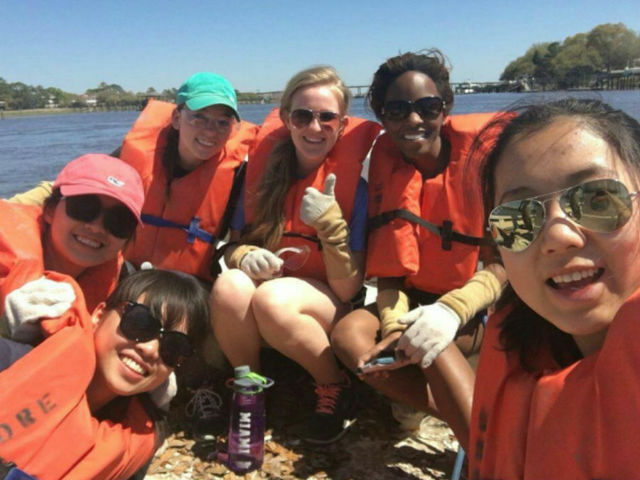 JOY wasn’t the only student-led organization at Miami that chose a service trip over a classic spring break trip this year. Eighteen students with the group Alternative Spring Break , which seeks to engage, educate and enhance Miami students’ social awareness by providing opportunities for alternate spring break trips, headed to Charleston, South Carolina, to clean up beaches, build with the local chapter of Habitat for Humanity , work in a community garden, pitch in at a food bank and restore oyster reefs. Allen was one of six student leaders to plan the trip, which included a total of 30 hours of community service. Each year, student leaders divvy up tasks for the spring break trip, including selecting a destination, contacting service agencies and housing opportunities, applying for funding and drumming up student interest, Abowitz said. And no faculty members, not even Abowitz, go on the trips with students. Over spring break, eight Miami University Symphony Orchestra (MUSO) students also had the opportunity to travel abroad to Chennai, India, for the week because of an invitation extended to them by Global Rhythms World Music Ensemble , a team that brings together diverse artists and art traditions, as part of MUSO’s centennial year celebration. The Miami students performed alongside India-based Sunshine Orchestra as part of Taal-Chaal (or “rhythm walk”), a celebration that featured the music of various composers, including Edvard Grieg, Arcangelo Corelli, Sergei Rachmaninoff and Ravi Shankar. The students also had the opportunity to learn how to perform Indian music.